<br>Kein Song für die Ewigkeit. Kommt bei mir jetzt auf Anhieb nicht wirklich an. Da waren ihre letzten Stücke wesentlich besser.<br>Edit: habe mich an das Lied gewöhnt und setze ein Sternchen obendrauf. 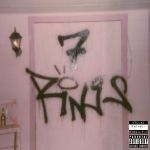 Niet om aan te horen die Ariana Grande.<br>En dan die domme blik van haar in de clip.<br>Ik snap van haar succes helemaal niks als ik eerlijk ben.<br>Gelukkig kom je deze ellende in de platenzaak niet tegen want het is alleen digitaal verkrijgbaar. I can't understand what she's saying, the lyrics are trashy and the production is amateurish.<br><br>Exactly what i expected! Dass diese "Musikerin" so erfolgreich ist, hat Sie nur durch ihr Aussehen erlangt. Texte sind immer gleich strukturiert und langweilig. <br>Wenn man Fan von der ist, ist man entweder ein Mädchen/Frau, schwul oder man hat keine Ahnung von Musik. <br><br>Ich erwarte Memos von aggressiven Frauen und "Männern". Mal was anders, not so bad.<br><br>18.03.19: Bin gewillt zu erhöhen. 4 => 5. Weiter oben ist mal wieder ein Fall von "Fragile Masculinity" ausgebrochen..<br><br>Uninteressante, langweilige Popmusik gelangweilt vorgetragen von Madame Grande. Ich kann mit dieser Stammelmusik überhaupt nichts anfangen. Für mich ist gute Musik Melodie, Gesang, intelligenter oder mitreißender Text, klasse Stimme. <br><br>All das hat dieses Machwerk nicht. I feel dirty for liking this song.<br><br>I imagine if you're reading this, you're aware of the terms 'rockism' and 'poptimism'. Rockism has existed as a term for nearly 40 years, coined in 1981 by Pete Wylie as a response to the notion that rock music is inherently superior to other genres, or that these other genres derive their value based on their proximity to rock music. That gives you notions like 'it may not have soaring solos but at least they're playing actual instruments'. That further manifests when applied directly to criticism and analysis. Music outside of the rock spectrum will be judged not on its attempted goals, but judged as if it were attempting to make rock music. Incidentally the barriers for that have loosened over the years. Initially rockism rebelled against glam rockers like David Bowie & T-Rex because they seemed to rebel rebel against the ideas laid down by Pink Floyd & Led Zeppelin, but with the rise of electronic music and hip hop in the decades that followed, they have been swallowed into the rock & roll canon. I can't help but wonder if Hanson would gain begrudging respect had they come along 20 years later.<br><br>Poptimism came up as a reaction to rockism. From what I can see it dates back no further back than 2004 with Carl Wilson's "Let's Talk About Love". In its most simple form, it calls against the rockism status quo in the critical canon. Simply put that all forms of popular music are worthy of the same appraisal as rock music, after all, it is music that is beloved and purchased en masse, so who's to say that these people's opinions are to be scrapped and ignored. It's a fairly easy idea to get behind too. One can only hear an artist derided for their 'teenage girl' fanbase so many times before thinking that maybe it's the cynical dinosaur missing the point.<br><br>Poptimism is not without its own issues though. The largest of which is the anti-capitalist notion that poptimism as a whole only serves multi-millionaire corporate stars for whom the rockist clap back is a trivial detraction that isn't worth pursuing. In a time when corporate brands are weaponising altruism for their own gain, where personal beliefs are defined by which commercial products you spend your money on. You start to wonder if all social upheaval is really brought about by the fact that corporate entities are able to exploit them for their own benefit. It would be natural to assume that's where my problem lies here, that I greatly enjoy this song by an immensely rich pop star all about how immensely rich she is, where any criticism of this fact is waived by the barrier of poptimism. It's a fair point to make really but it's not my real issue.<br><br>In addition to the traits outlined before about rockism, there's another thing about it that I haven't yet mentioned. It's the image that the rockist themselves represents. You generally get two camps of rockists. There's the older generation who genuinely lived through the era that they idealise, and the younger generation who look up to these people as inspiration. Y'know, the 'I'm 15 and I still appreciate real music' 800 likes on a Queen music video sort of person. Either way, they get generally ugly implications, which are rightly called out on. Have you ever noticed for instance how overwhelmingly cis, white, male & hetero the rock & roll canon is? There are exceptions of course, but that's usually when their alternate status doesn't get in the way. I also associate from my own experience as someone who very much embodied this whole thing when I was younger, as the image of a dude sitting at his computer, flooding comment sections with outrage at these people who are actually outside socialising and enjoying this 'nonsense music' the way it's intended. Whether it's because they feel unfairly excluded or because they wouldn't enjoy it anyway, it doesn't matter. The lonely loner seems to populate the web at night.<br><br>So the main thing I was building up to this entire review is that I honestly think poptimism is turning into rockism. It would seem that the kids who were out partying while the rockists were yelling into their keyboards have grown up, and out of touch with what their kids are enjoying. More than ever before I see absolutely furious rants from people lamenting the state of popular music, except instead of longing for rock music, the prior status quo desired is in fact pop music.<br><br>What's become increasingly clear is that so many people just don't know what to do with hip hop. In 2013 Kanye West said 'we the new rockstars', which was met with exactly the reaction you expect, but it is a pretty strikingly accurate comment in certain ways. As the years go on, hip hop increasingly dominates the social discourse. More and more people are captivated by rappers both as people themselves, and through their music, possibly because the genre's lyric heavy presentation allows for more personality to shine through. The community is generally really supportive. Rappers are getting really strong streaming numbers because the community outreach does the promo for them. If a project shows some promise or intrigue, there's excitement and the feeling that you've got to hear it and join the discourse. In the pop universe, all I ever see are stan accounts looking like robots demanding people to stream their favourite's current single. I've never been compelled by it at all because it never feels like it's in the interest of the listener, but merely to artificially inflate the millionaires' chart positions.<br><br>Back on the previous point though, with hip hop as a commercial force ahead of all other genres, it provides serious problems to upholders of the status quo. There may have been knock back to emerging pop genres over the last 40 years, but at the end of the day, the music was still relatively harmless. You can play ABBA or Whitney Houston on classic radio and the only reason anyone would bat an eye is if they've heard the songs too many times. Pop music was actually far closer to rock music than it may have seemed, because now we have hit songs filled with profanity, intentionally muddied up production, extremely intrusive producer tags, manic ad libs and generally extremely explicit content. Hip hop has of course been popular for decades ("Rapper's Delight" actually pre-dates the term 'rockism'! ), but it was much easier to stay in a vague realm of being presentable. For a while the biggest hip hop hits were goofy novelties like Vanilla Ice or MC Hammer. Then we'd evolve to more serious entries which were still easily palatable due to friendly flow and pop friendly choruses (think "Gangsta's Paradise" & "Tha Crossroads"). The 2000s would provide significant upheaval as the barrier for hip hop seemed to really just be no holds barred as long as there's a poppy chorus. I am not sure if I can pinpoint a turning point for the current state of affairs. Soulja Boy's "Crank That (Soulja Boy)" is definitely noteworthy as an extremely DIY viral entity that seemed to destroy the foundations of sensibility in its wake. The song has had a fascinating re-appraisal in the ensuing years as it starts to fit in more than ever before, but it was still very much an oddity for many years. And hey, radio still begrudgingly played it!<br><br>The reason this all relates to poptimists is because they're the ones being set back from it. If you were to make the argument that pop gains its validity through its success, then that's a fleeting argument as every year, more and more pop staples struggle to come back with new music to their original fanfare. In 2018 there were a grand total of 2 Billboard Hot 100 #1 hits which did not feature a rapper on them. Even then there's generosity being given because those two, Ed Sheeran and...Ariana Grande as it turns out have both indulged in rap cadence in their music, as well as having collaborated with rappers in the past. In the road to commercial success, hip hop cannot be ignored.<br><br>Yet it is so frequently attempted to be done. While hip hop may dominate the charts through sheer unassailable volume of fanfare, it carries with it an unrivaled backlash largely because of its refusal to conform to the status quo. There's a joke in the movie "Undercover Brother" about the NBA introducing the 3-point line to give white players a chance. The Billboard equivalent of this is radio airplay. While it's rare to see a non-hip hop artist at #1 on the Hot 100, it's rare to see a hip hop artist at #1 on airplay at all. Airplay feels like a cheat code where the more palatable a song is, the more of an artificial advantage it gets. If you look at the list of the longest running top 10 hits of all time, nearly every one of them was a #1 airplay hit. Not to say they weren't popular in the other metrics, but it means that towards the tail end of their run, they were utilising radio inertia to stay higher up. At the time of writing this, 11 songs have managed more than 26 weeks in the Hot 100 top 10. 10 of those 11 are airplay monsters, the other song is "SICKO MODE", which got 1 week away from the all time record despite being pushed down by airplay every single week. Evidently you've got a song which is too unorthodox for radio and subsets of pop audiences, and yet the public can't stop lapping it up. And so all of a sudden you see those pop fans are the ones seemingly outraged on the internet about people enjoying hip hop.<br><br>Where it gets especially ugly though is when pop artists go out of their way to utilise hip hop's commercial clout for their own benefit. I don't necessarily mean the artists in this sense, but the audience. Tropes that are otherwise unpresentable garbage in the hands of rappers are suddenly okay in the hands of pop musicians. It's scarily reminiscent of the era of Pat Boone and the like, but you also tend to get really gross double standards with how the music is approached. Like how you see doled out excuses for why hip hop is bad and it's so often the same trotted out excuses of profanity or ad hominem attacks on the artist's integrity as a person. The latter could warrant its own write up on how grossly mis-used it is (with double standards no less) but at the end of the day, it's all just irrational back-pedalling to mask the fact that people just want things to be like they used to be.<br><br>You've probably heard similar things said about Ariana Grande's "7 rings". From one perspective I hear that it is outrageously 'urban influenced' (never use that u-word by the way, it's an extremely misinformed look) in its production. Never mind the somewhat uncomfortable implications of Ariana's lyric about having a weave, or the much noted accusations of mimicking the flows of Princess Nokia and Soulja Boy. If a rapper did a song like this, they would be decried for their lavish idealism (and lazy interpolation of "The Sound Of Music" because they can't come up with their own hooks), but Ariana Grande is allowed to do it and issa bop. The sample is a kind of funny thing for me because I grew up really hating "My Favourite Things"...even as a kid I found the lavish materialism unrelatable, but also the melody droned on. It might have mainly been the fault of overexposure to Big Brovaz. But now in recent years The Avalanches and now Ariana Grande have utilised it and I've not had the same issues.<br><br>But still you see I have a severe uncomfortable issue with liking this song. I often notice a lot of genre turf wars where dispute over what is the superior form of music results in people closing themselves off from those alternatives completely. You can tell someone has a deep hatred for a genre if they refuse to even give them an inch, as it's clear they're the opposition and they won't give you the same charity. I often feel uncomfortable with looking like someone who pigeonholes certain styles of music as inherently bad, so I try to be open-minded where I can. But that does mean that from my perspective, I have to pay creedence to those close-minded people I don't respect. I feel like I'm empowering them. The only benefit I get is that I get to listen to a song that I genuinely do enjoy a lot.<br><br>(this is very nearly a 5* and I may change it to that in the future).